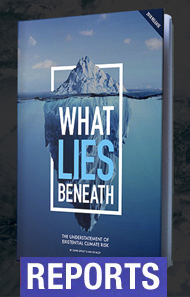 Peter Wadhams, professor of ocean physics at Cambridge University, who was branded “alarmist” after he first detected “substantial thinning” of sea ice in 1990, said: “The entire ice cover is now on the point of collapse." 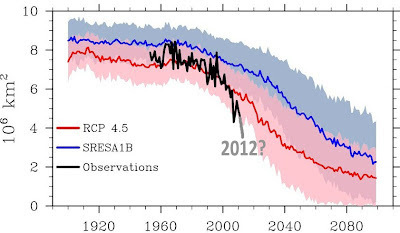 But Wadhams is basing his prediction in part on a new range of more specialised regional climate models, and in particular a model (acronym NAME) developed by Dr Wieslaw Maslowski and colleagues. 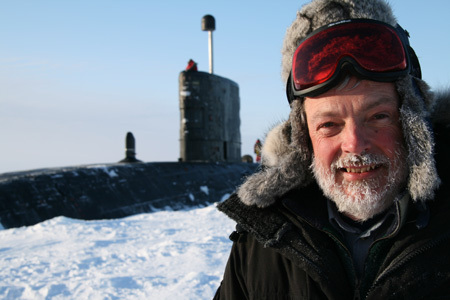 Maslowski is highly regarded, in part because his position at the American Naval Postgraduate School has given him unique access to half a century of Arctic sea-ice thickness scans from sub-polar US military submarines. In the past... we were just extrapolating into the future assuming that trends might persist as we've seen in recent times. Now we're trying to be more systematic, and we've developed a regional Arctic climate model that's very similar to the global climate models participating in IPCC assessments. 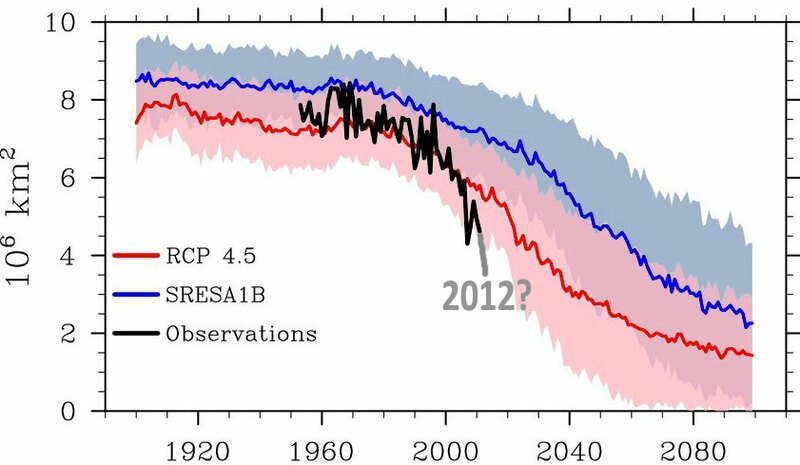 We can run a fully coupled model for the past and present and see what our model will predict for the future in terms of the sea ice and the Arctic climate. Here is Figure 9 from the paper by Masowski et al. The full paper is available here (top item). Last November Prof. Wadhams, a world-leading authority on the polar regions who has just returned from a field trip to the Arctic, told the UK Telegraph that Maslowski’s calculations had him "pretty much persuaded." 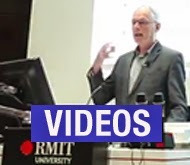 Prof Wadhams said: "His [model] is the most extreme but he is also the best modeller around... 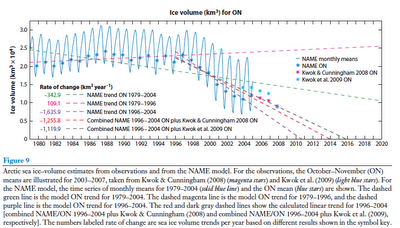 It is really showing the fall-off in ice volume is so fast that it is going to bring us to zero very quickly. 2015 is a very serious prediction and I think I am pretty much persuaded that that's when it will happen." So his big call is not new, but it should be a call to arms. Perhaps Wadhams is out by a year of two, but not by any large amount. As an interested, amateur observer who has followed and avidly read the Arctic literature over the last five years, it rings true. 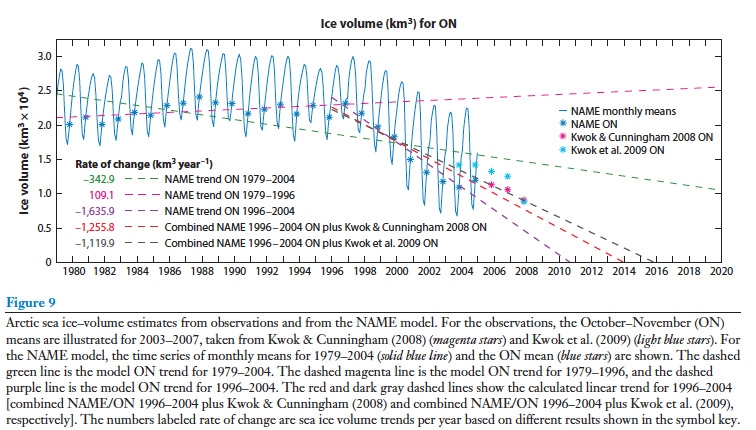 Three-quarters of the summer sea ice by volume has gone in 30 years, and the rate is increasing, as the following chart shows. The Arctic sea-ice has long passed its tipping point, and so also have the other critical features in the polar north. 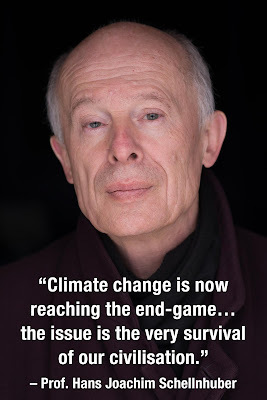 We will soon have a very different, warmer Arctic climate with mind-boggling implications for the rate of Greenland melt, sea levels, the stability of permafrost and methane clathrates, and more extreme weather in the northern hemisphere. Welcome to the Arctic end times.